"Feliz Navidad" is a Christmas song written by Puerto Rican musician and singer José Feliciano in 1970. In simple Spanish phrases (Christmas greetings / New Year's greetings, Feliz Navidad, "a Merry Christmas and a Happy New Year," and a chorus in English, "I Wish You A Merry Christmas from the bottom of my heart." Pop is popular in the US, Canada and throughout the Spanish-speaking world. Feliciano performed the song "Feliz Navidad" (in which he played guitar and Puerto Rican cuntro) is one of the top songs downloaded for Christmas in the US and Canada. ASCAP ranks it among the top 25 Christmas songs to be performed and heard all over the world. 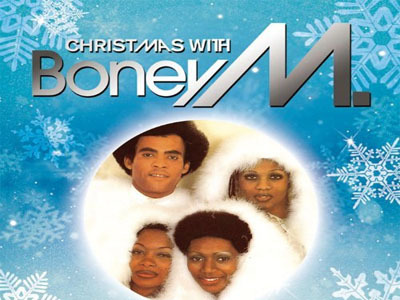 The famous "Feliz Navidad" in England and Europe was printed on the Christmas album cover of Boney M., released in 1981.